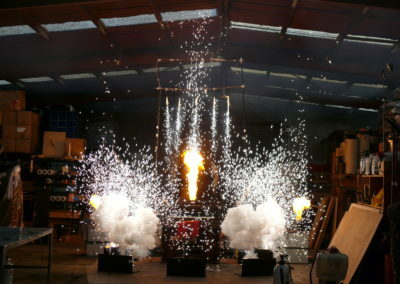 Firework Professionals is the place to go for comprehensive training to become a qualified pyrotechnician. 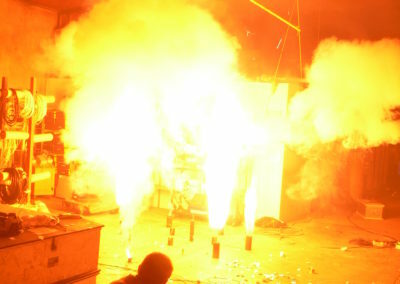 We provide fireworks training for Certified Handler Pyrotechnicians in Level 1 – 3 outdoor and indoor pyrotechnics, special effects, and battle simulation effects. 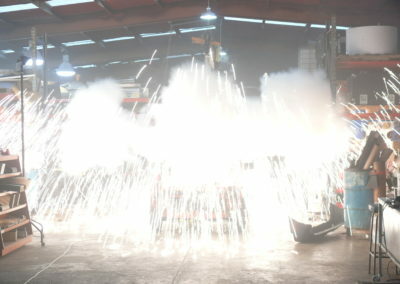 We also have an online only course to handle and sell Retail Fireworks. Our practical courses are limited to 6 students per course, the focus is on providing the most thorough fireworks training available in NZ. Multiple training venues offer the practical challenges you’ll find as a professional technician. Practical work is suplemented with informative lectures covering the HSW regulations and the safety aspects of planning and operating professional displays. 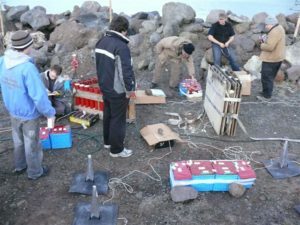 Our trainers are all full time technicians who have each been firing fireworks displays, running courses and lecturing in pyrotechnics for almost twenty years. We can tailor your training to your specific requirements. 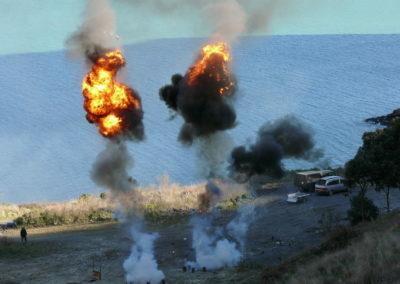 In addition, we offer training upgrades and large shell firing to qualified Certified Handlers. 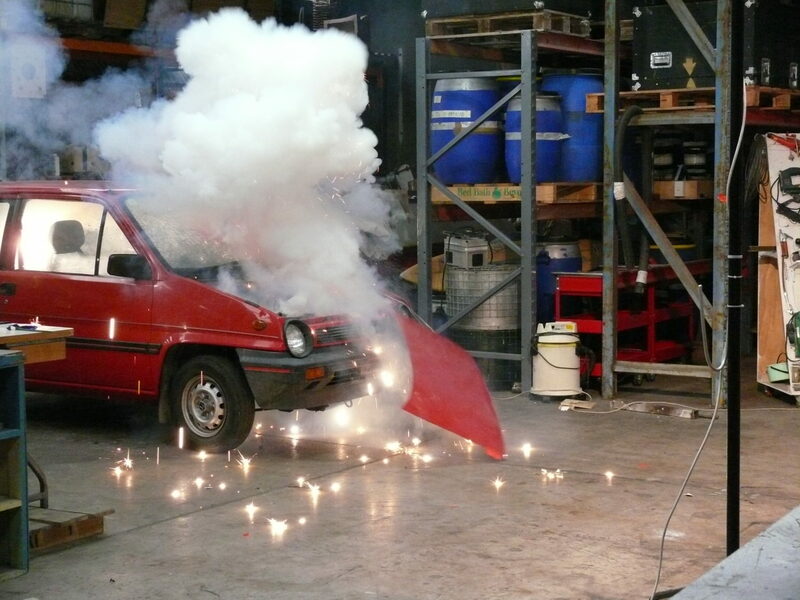 Next training course – Introduction to Professional Pyrotechnics – 30 March 2019 in Christchurch. Email maria@firework.co.nz for more details. Certified Handlers must hold a Controlled Substance Licence. We assist you with obtaining this once you have passed our exams and met the formal requirements for certification. We offer ongoing advice, support and on the job training, along with discounted refresher courses to all our past students. Please note that certification is not automatic. 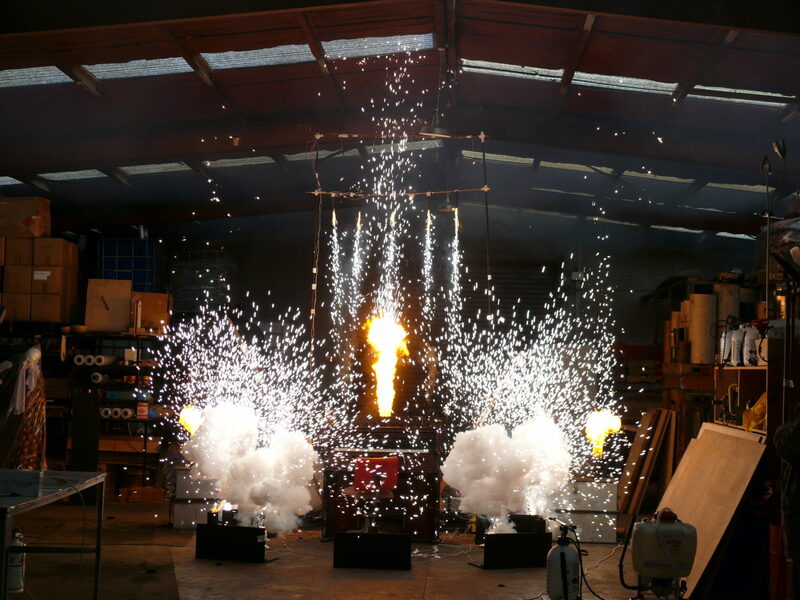 Firework Professionals reserve the right to screen training applicants and to withhold qualifications for unsuitable candidates. Candidates are police vetted for suitability to hold a CSL. Age limit for course attendance is 17 years. 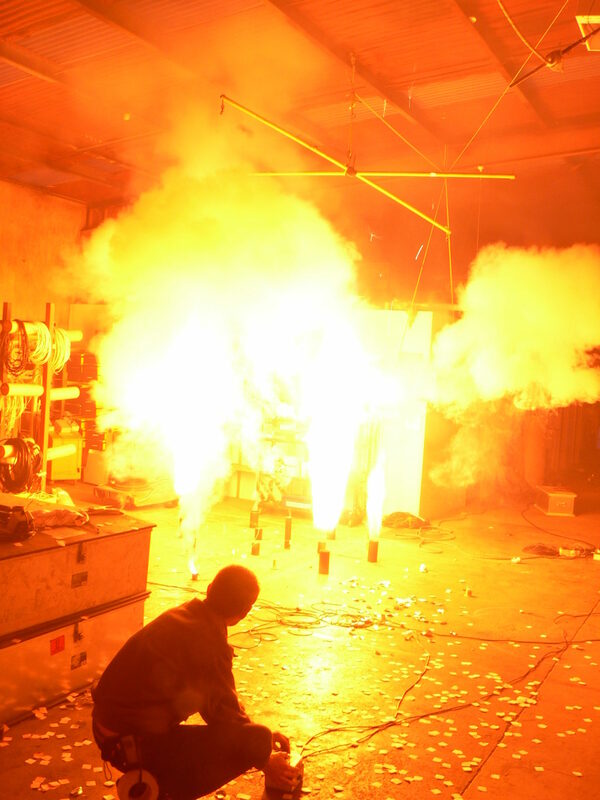 Please note that no student loans or allowances can be approved for these courses as there are currently no NZQA approved courses for pyrotechnics. 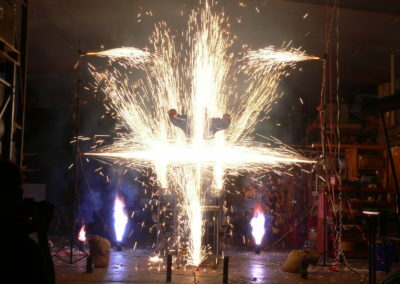 At Firework Professionals we want to make your training as easy and efficient as possible. Therefore we are making it possible for you to do the theory parts of your Certified Handler training at home (or at work) online. Then when you come to Christchurch for your training we can concentrate on the practical work. 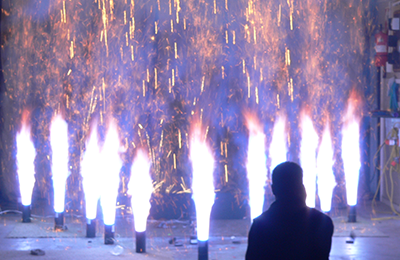 This course provides an overview of basic safety when working with fireworks. It covers things to consider before the show, how to set up your workspace, handling pyro, packing out afterwards, simple tips on crowd control, and equipment for firefighting. 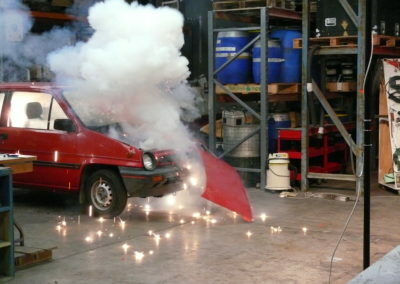 This is a free course – link here Professional Firework Safety Essentials. We are in the process of putting the classroom part of our outdoor fireworks course on-line. so you’ll be able to do the classroom study at your own pace at home. Then you will spend all of your practical time with us creating, rigging and firing your fireworks shows. Plus the course material is always yours, there for you to check – and may be updated as technology or regulations change. As well as professional training, we also offer training and certification for people wanting to sell Retail fireworks to the public over the Guy Fawkes period. The course can be completed online at your own pace here at Udemy (the coupon FPLWEB gets you 20% discount). A written exam, completed in your own time follows the online training. A pass rate of 80% is required to obtain the qualification, which is valid for 5 years.